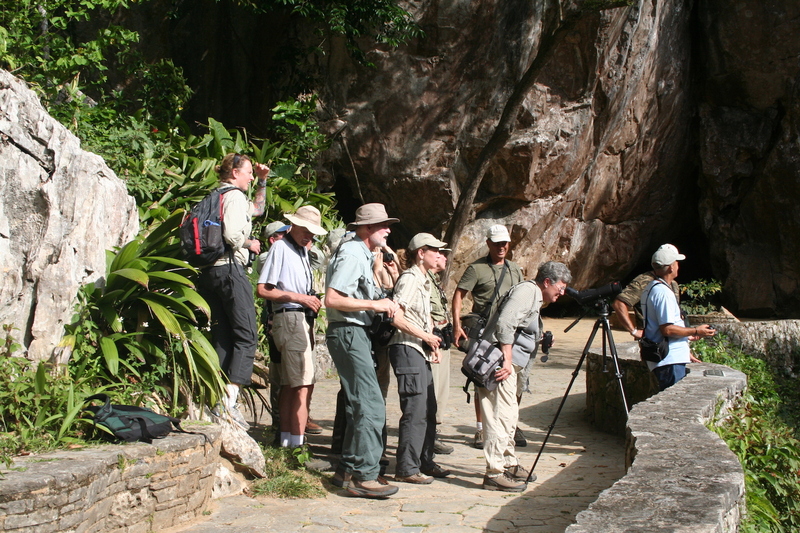 Birders at La Guira National Park, Pinar del Río Province, Cuba, February 2016, by Bruce Schwartz. You are invited on an exclusive, U.S.-led and U.S.-managed birding program to Cuba sponsored by BirdWatching magazine in partnership with the Caribbean Conservation Trust, Inc., with special guest host Noah Strycker, from December 9-18, 2018. PLEASE NOTE: The survey described below is sold out, but if you would like to be added to the waiting list, please email Gary Markowski at [email protected]. We’re also offering a survey trip in March 2019 with David Sibley. Read about it here. The program is coordinated under U.S. government authorization by Connecticut-based CCT. In early 2018, CCT staff began their 23rd year of managing bird conservation and natural history programs in Cuba. Along with noted author and BirdWatching contributing writer Noah Strycker, our team will include acclaimed Cuban scientist Dr. Luis Diaz, curator of the National Museum of Natural History in Havana, a bilingual Cuban tour leader, and local naturalists in three different birding regions. Cuban Tody, courtesy of Hal and Kirsten Snyder. Bare-legged Owl, Cuban Oriole, Bee Hummingbird, Blue-headed Quail-Dove, Gray-fronted Quail-Dove, Cuban Black Hawk, Cuban Blackbird, Cuban Bullfinch, Cuban Gnatcatcher, Cuban Grassquit, Cuban Green Woodpecker, Cuban Parakeet, Cuban Parrot, Cuban Pewee, Cuban Pygmy-Owl, Cuban Solitaire, Cuban Tody, Cuban Trogon, Cuban Vireo, Fernandina’s Flicker, Giant Kingbird, Gundlach’s Hawk, Eastern Meadowlark, Cuban Nightjar, Red-shouldered Blackbird, Tawny-shouldered Blackbird, Oriente Warbler, Yellow-headed Warbler, Zapata Wren, Zapata Sparrow, Cuban Crow, Palm Crow, Cuban Martin, Cuban Emerald, Bahama Mockingbird, Thick-billed Vireo, and Western Spindalis. Other species of interest include: Great Lizard-Cuckoo, La Sagra’s Flycatcher, Loggerhead Kingbird, Olive-capped Warbler, Key West Quail-Dove, Ruddy Quail-Dove, Zenaida Dove, Stygian Owl, West Indian Whistling-Duck, American Flamingo, Wood Stork, Roseate Spoonbill, a great variety of wading birds, and numerous other migratory and resident species. Cuba’s Western Mountains include two of the country’s most diverse and dramatic ranges: the Sierra de la Rosario and Sierra de los Organos. 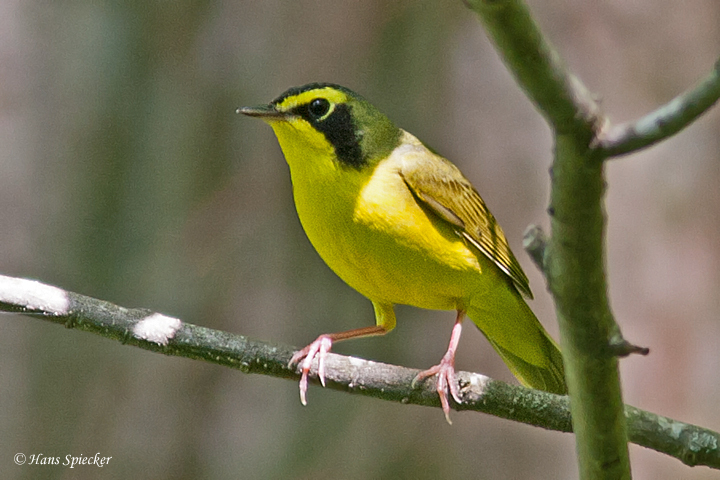 We will explore an area common to both ranges in search of western-range endemic species such as Cuban Solitaire. A highlight of the trip will be a visit to the magical, unusually beautiful karstic landscape of mogotes — the towering, lushly vegetated, flat-top limestone monoliths that dominate the Organos Mountains. This is the only region in which we will likely see Cuban Solitaire, Cuban Grassquit, Giant Kingbird, and Olive-capped Warbler. 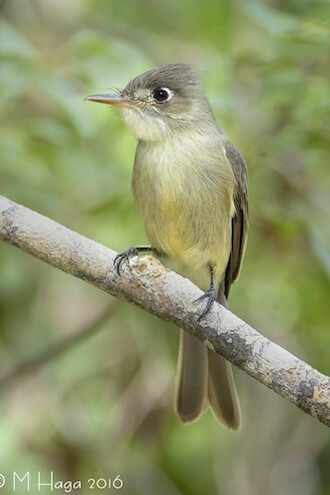 Other potential endemic species for western Cuba include Cuban Oriole, Cuban Green Woodpecker, Cuban Pewee, Cuban Pygmy-Owl, Cuban Tody, Cuban Trogon, Cuban Vireo, and Yellow-headed Warbler. 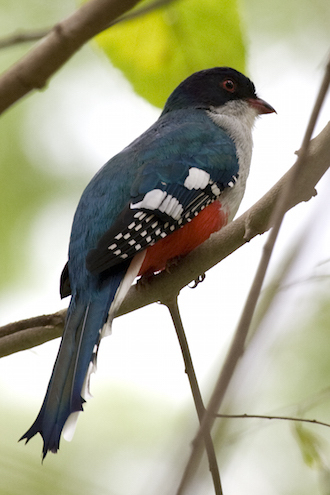 Cuban Trogon in Camagüey, Cuba, February 14, 2011, by Laura Gooch, Wikimedia Commons. We will also explore the diverse wetland region of the Zapata Peninsula, Cuba’s richest and most important birding destination located in the historic Bay of Pigs. This peninsula is a Ramsar Convention-designated site (the Ramsar Convention is an international conservation treaty) and is among the most important wetlands in the West Indies. Here, our highly experienced team will lead us through protected areas in Cienaga de Zapata National Park and other natural sites off the beaten track. 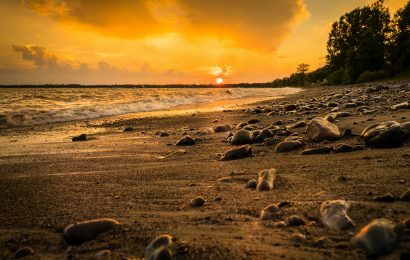 The Zapata Peninsula covers more than 2,800 square miles and features easily accessible, Everglades-like ecology and habitat. Framed by the pristine Caribbean coastal environment of the Bay of Pigs, the peninsula features vast open swampland, low coastal forests, sparkling white sand beaches, healthy and accessible coral reefs, and refreshing natural limestone pools called cenotes. Bee Hummingbird, Cuban Black Hawk, Zapata Wren, Zapata Sparrow, Fernandina’s Flicker, Bare-legged Owl, Tawny-shouldered Blackbird, and Blue-headed and Gray-fronted Quail-Doves, and Tawny-shouldered and Red-shouldered Blackbirds are among the many birds we will hope to find (three nights). Cayo Coco and Cuba’s Atlantic Archipelago provide excellent birding opportunities on Cuba’s Atlantic coast. These previously uninhabited and relatively unexplored islands were connected to the mainland by an 18-mile-long causeway completed in 1989. Cuba’s academy of sciences (CITMA) maintains a research facility here. The barrier islands and keys offer opportunities for: Cuban Gnatcatcher, Oriente Warbler, Thick-billed Vireo, Bahama Mockingbird, and West Indian Whistling-Duck, as well as numerous shorebirds and aquatic birds. This region also provides additional opportunities to see rare endemics such as Zapata Sparrow and Gundlach’s Hawk. Accommodations are in a modern beachfront resort (two nights). Our program begins in Havana and concludes in Camaguey, among the most authentic colonial cities in the Americas. 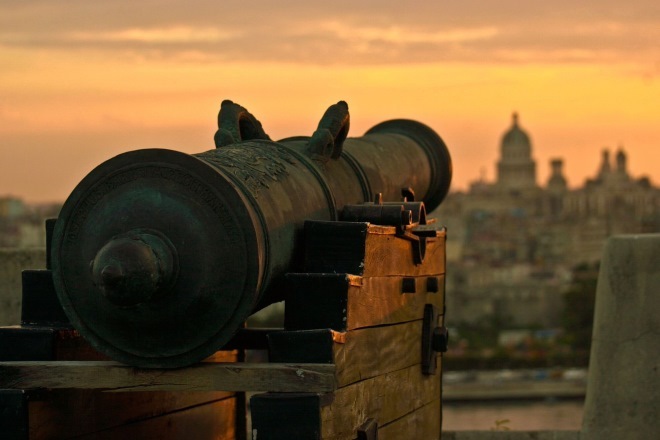 Havana is one of Latin America’s best preserved and most compelling colonial cities. Camaguey is a close second. Our time in each city will include all meals, accommodation, transportation, and a guided tour of each city’s more interesting elements. Visiting Colonial Cuba is like walking through a living museum. Currently both cities are undergoing rapid, energetic change. Just east of Camaguey, we will visit a wildlife reserve in search of Palm Crow, Plain Pigeon, Cuban Parakeet, and Gundlach’s Hawk. SAFETY – In early 2018, Cuba won the Excelencias Award as the safest country for international tourism at the International Tourism Fair, Fitur which was held this year in Madrid, Spain. Cuba has long been an exceptionally safe destination for visitors, despite rumors and tall tales to the contrary. 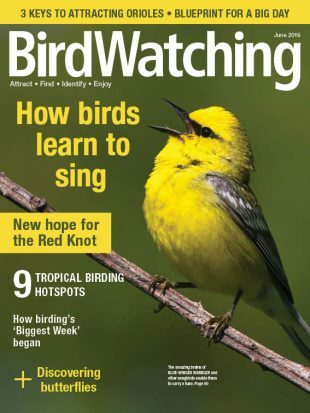 U.S. citizens are warmly welcome, as they have been for the 22 + years that Caribbean Conservation Trust has been bringing American birders there under U.S. Treasury Department authorization. The U.S. Department of Treasury has provided a license for conducting bird conservation work in Cuba to the Caribbean Conservation Trust, Inc. (CCT), a U.S.-based organization committed to the conservation of endemic and migratory birds and their habitats in the greater Caribbean region. 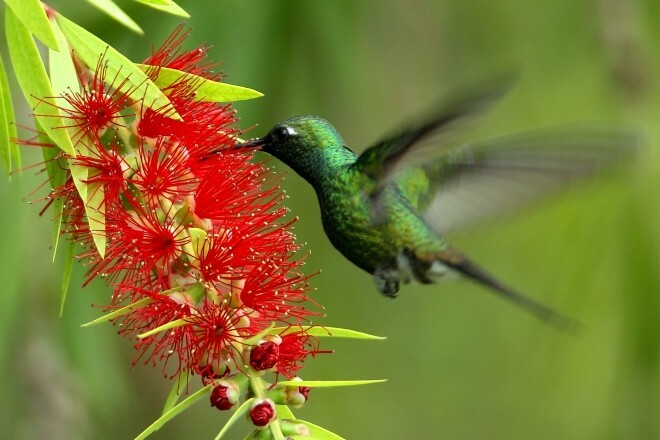 The primary objective of CCT is to enhance the ability of North American and Caribbean ornithologists, naturalists, resource managers, conservation organizations, institutions, and local citizens to conduct research and initiate programs to help conserve the birds of the Caribbean and their habitats. This trip will contribute directly to our ongoing community conservation initiative by facilitating the delivery of resources such as binoculars, field guides, and other resources utilized by our Cuban partners. For a glimpse of our program in action, watch the film Counting on Birds, a 2013 New Hampshire Public Television production that describes the history of the Christmas Bird Count and features a segment on our program in Cuba as an example how birders can contribute to citizen science-based bird-conservation efforts. Our program is designed and managed in the United States, is professionally staffed, and has been field tested over 21 years in Cuba. We are dedicated to providing participants with informative nature-oriented experiences with the help of our highly skilled local leaders. Gary Markowski, Founder and Executive Director of the Caribbean Conservation Trust. Gary has managed more than 200 birding programs in Cuba since 1996. Gary has designed and will facilitate this program along with CCT’s highly experienced Cuban team, and our special guest, Noah Strycker. 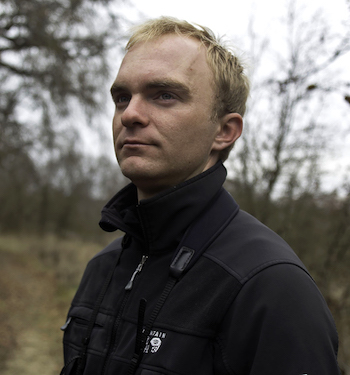 Noah Strycker, the author of three well-regarded books about birds, and a regular contributor of photography and articles to all major bird magazines as well as other media. Strycker set a world Big Year record in 2015, and his 2017 book, Birding Without Borders, relates the experience. Strycker has studied birds on six continents with field seasons in Panama, Costa Rica, Ecuador, Hawaii, Maine, Michigan, Australia, Antarctica, the Galapagos Islands, and the Farallon Islands. He also works as a naturalist guide on expedition cruises to Antarctica and Norway’s Svalbard archipelago, literally spreading the inspiration of birds from pole to pole. His first book, Among Penguins, chronicles a field season working with Adélie Penguins in Antarctica (Oregon State University Press, 2011) and his second, The Thing with Feathers, celebrates the fascinating behaviors of birds and human parallels (Riverhead Books, 2014). Strycker is also a competitive tennis player, has run five marathons, and hiked the 2,650-mile Pacific Crest Trail from Mexico to Canada. He is based in Oregon, where his backyard has hosted more than 100 species of birds. Visit his website at: www.noahstrycker.com. A signed copy of Birding Without Borders will be provided for all attendees. Dr. Luis Diaz is the curator of herpetology at Cuba’s National Museum of Natural History in Havana. Luis has authored Cuba’s most comprehensive book on reptiles and has several ornithological publications to his credit. He is an excellent general naturalist and a talented birder and illustrator. He is fluent in English and has a warm, engaging personality. He has been involved with research projects throughout the West Indies and has traveled on a scientific visa to the U.S. on several occasions. Luis will be with us throughout the program in the field and will provide an overview of Cuban natural history as well as specific information relative to birds and other fauna, flora, geology, and other natural features. Both Noah and Luis will be with us throughout the program in the field and will assist in finding and identifying birds, as well as providing a broad overview of Cuban natural history. Each may share specific information relative to the flora, fauna, geology, and other natural features of the environments we visit. Additionally, we will work with regional naturalists from the national parks and biosphere reserves that we visit around the country. A bilingual Cuban guide will be at our service throughout the program. Along with a professional driver, the guide will be with the group each day to tell us about Cuban history, culture, arts, and lifestyle. He or she will also deal with logistics, meals, translation, and other nuts-and-bolts aspects of the travel experience. Cuban Emerald, courtesy of Hal and Kirsten Snyder. Accommodations feature hotels in Havana and four additional provinces. Our accommodations are staffed by friendly hosts and, in the countryside, represent the best Cuba has to offer in the regions we visit. These may include refurbished vintage hotels, modern resort hotels, and simple beach-front bungalows. All accommodations are safe, clean, air conditioned tourist facilities. It should be noted that standards in Cuba differ from those in the U.S. and other developed countries. Following program registration, we will provide all participants with a bird list as well as details with regard to travel to Cuba, including all of the basics you need to know about travel documents, customs, facts about Cuba, currency, health and safety, food, flights, and what to bring. U.S. Government authorization documents and a bird checklist will be provided following receipt of your final balance. 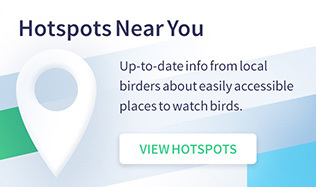 This program offers opportunities for several days of ambitious birding, early departure times on birding days, and occasional evening sessions. Birding days may provide leisure time after lunch and before our afternoon birding sessions. Physical exertion will be light to moderate most days, with the longest walks approximately 3 miles. Terrain is mostly flat and dry, with some hills in western Cuba. Participants should be in reasonably good physical condition and prepared for strong sun. Temperatures will range from the mid-70s into the 90s. Mosquitoes can be bothersome in Cayo Coco and the Zapata Region. Although unlikely, rain may occur as well, so bring adequate rain gear. Participants with medical concerns should check with their physicians before taking part in the program. Your health and well-being are very important to us! Land costs for the 10-day program are $4,475 per person for shared accommodations. Add $475 for a single room. The cost includes all meals, guide services, ground transportation, and a guided exploration of Camaguey, a UNESCO World Heritage site and one of the most unique destinations in the Caribbean. Trip costs are based on 12 fully paying participants. A lower number of participants may result in a modest small group supplement. Cuban Pewee on Cayo Santa Maria, Cuba, by mayhaga. Caribbean Conservation Trust programs include all accommodations, all meals in Cuba beginning with dinner on day 1, ending with breakfast on the last day of the program, guide services, most tips (guides, drivers, local naturalists, and restaurant and bell staff), airport/hotel transfers, ground transportation, bottled water, some drinks, national park fees, U.S. Department of Treasury authorization documents, and program-management services, which include the provision of all pre- and post-program materials, a full-time Cuban bilingual guide, bilingual Cuban naturalists, and a full-time driver. 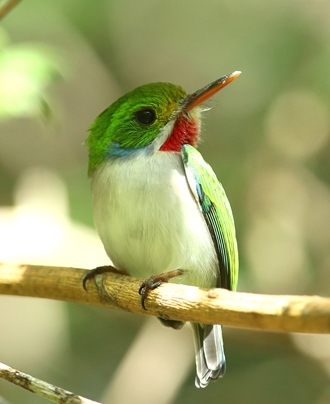 Program fees help support Caribbean Conservation Trust’s bird-conservation efforts in Cuba. 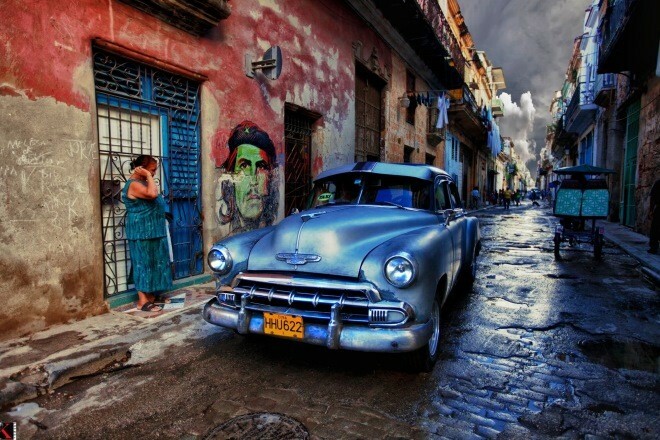 Travel to and from Cuba; a Cuban visa ($50) and Cuban health insurance (required by law and approximately $3 per day); personal items such as laundry, phone calls, additional beverages, bar and housekeeping tips, etc. ; airport departure taxes ($30 departing Cuba); U.S. passport fees; meals or accommodations in Florida; and other fees not listed in the program. Cost estimates are as of March 2018 and are subject to change. We fly between south Florida and Havana (in bound) and Camaguey to Florida (outbound). Precise schedules for December 2018 are unknown at the time of this writing. Both JetBlue and American Airlines offer this routing. Our goal is to procure the best available options for our travelers. We will provide all of the information necessary to make booking these flights simple and secure. Flight costs range from $250 to $350 round trip. Flight plans will be announced by July 2018. Any U.S. citizen traveling internationally these days should consider insurance protection. Reasonably priced coverage is available to provide protection against financial loss due to trip cancellation or delay, as well as lost baggage. Though uncommon, cancellations due to illness, accidents, work-related schedule changes, and other unplanned or unwelcome events have happened. Unforeseen travel-related events that you have little or no control over can also affect travel plans. All of these factors make trip-cancellation insurance an important consideration. For information about Travelex insurance, call 1 (800) 228-9792. Be sure to use the agency location code 07-0067 to access coverage explicit to this program. The Caribbean Conservation Trust’s U.S. Department of Treasury authorization is current and valid through 2019. For the land portion of the tour, a $700 deposit is due as soon as possible to reserve space on these programs. Online reservation and deposit payment are available from our website using PayPal. Otherwise, payment can be paid by wire transfer, check, or money order payable to “Caribbean Conservation Trust.” Please do not write “Cuba” on the check memo. For more information, contact Gary Markowski, Executive Director, Caribbean Conservation Trust, at [email protected] or (203) 733-1162. *Please be aware that the refund policies apply only to the land portion of the trip and that airlines may have different policies that exist beyond our ability to control. Additional registration fees may apply. As with all international travel programs, we highly encourage trip cancellation and travel insurance policies. 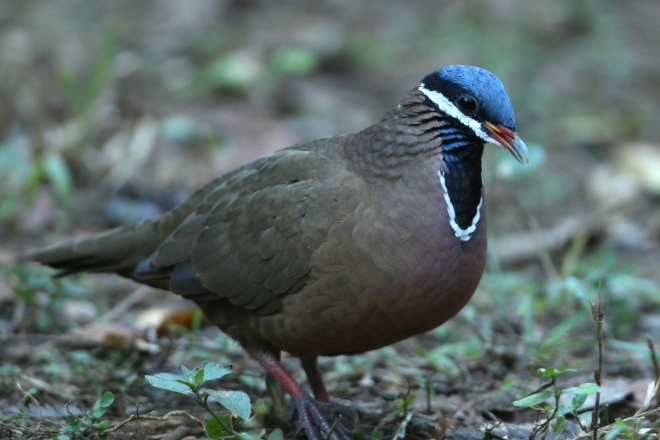 Blue-headed Quail-Dove, courtesy of Hal and Kirsten Snyder. Departure times are unknown at this time. 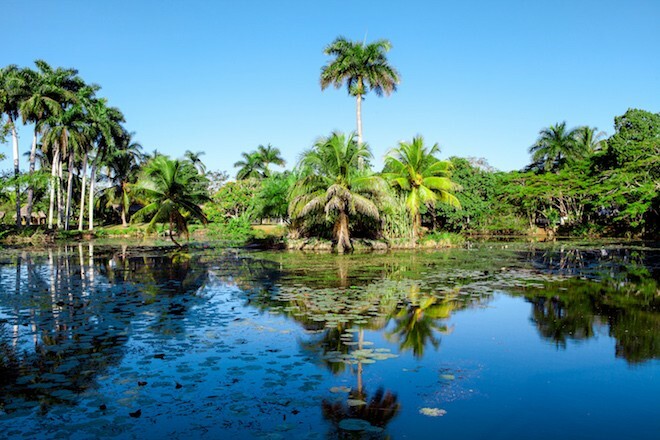 Upon arrival in Cuba, we will meet our Cuban guide, driver, and biologist and later depart to the tranquil Hotel Moka in the foothills surrounding Las Terrazas ecological community, one hour west. Cuban Blackbird, Tawny-shouldered Blackbird, Cuban Emerald, Loggerhead Kingbird, Cuban Trogon, Red-legged Honeycreeper, and Cuban Pewee may be present here. Accommodation and dinner at Hotel Moka. Early breakfast and departure to the national park (45 minutes, with easy forest trails, 2+ miles) and a visit to Cueva de los Portales, a classic “through cave” carved by the San Diego River. This was Che Guevara’s military headquarters during the missile crisis of 1962. Lunch nearby in San Diego de los Banos. Late-day birding near Hacienda Cortina, a lavish former estate with excellent birding options. The endemic Cuban Solitaire, Cuban Vireo, Cuban Oriole, Yellow-headed Warbler, Giant Kingbird, and Red-legged Honeycreeper will be pursued here. Accommodation and dinner at Hotel Moka. Morning birding nearby within Las Terrazas and the Sierra del Rosario Biosphere Reserve. Cuban Grassquit, Olive-capped Warbler, Cuban Tody, Cuban Bullfinch, and Great Lizard-Cuckoo are likely species. Lunch at Cafetal Buenavista, a restored 19th-century coffee plantation, offering sweeping views of the mountains, plains, and coast. Departure east to the Zapata Peninsula (4+ hours). Birding stops along the way as opportunity permits. Accommodation and dinner in private home stays in Playa Larga (three nights) on the picturesque Bay of Pigs. This region contains the largest wetland complex in the West Indies and is Cuba’s most prolific birding region. 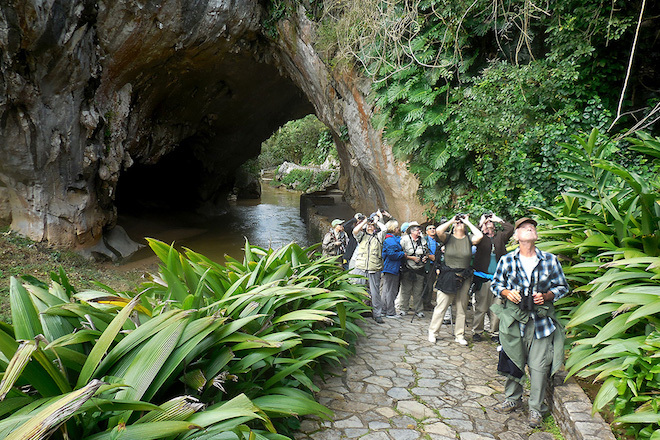 Here we have access to excellent local guides, as well as to protected areas and birding locations off the beaten track. Bee Hummingbird, by Rich Wagner, WildNaturePhotos. Early breakfast and a morning of birding in a nature preserve adjacent to the small village of Bermejas. 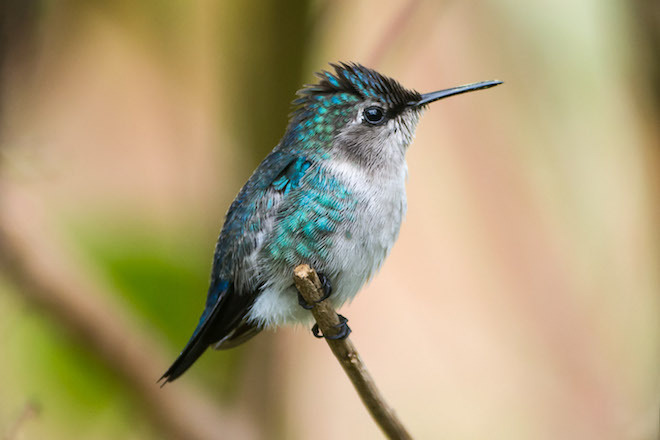 Here is our best opportunity to see the endemic Bee Hummingbird (the world’s smallest bird), Fernandina’s Flicker, Bare-legged Owl, Cuban Parakeet, Cuban Parrot, Blue-headed and Gray-fronted Quail-Doves, and Key West and Ruddy Quail-Doves. Lunch at Caleta Buena, a beautiful limestone-rimmed inlet abundant with fish and excellent snorkeling opportunities. The historic Bay of Pigs Museum is nearby. Afternoon birding in Bermudas. Dinner and accommodation in Playa Larga. Early breakfast and departure for birding within Zapata National Park and a morning walk along a dry roadway in the swamp at La Turba. This is our best opportunity for Zapata Wren, Zapata Sparrow, Red-shouldered and Tawny-shouldered Blackbirds, and a variety of warblers and other migrants. Lunch and a trip to Las Salinas Wildlife Refuge, with numerous shorebirds, Reddish Egrets, Wood Storks, spoonbills, flamingos, and endemic Cuban Black Hawk. All walking is on dry, flat terrain (less than 2 miles total). Dinner at a private restaurant in the village, accommodation in Playa Larga. Breakfast, check out, and birding options within the protected areas of the park, based on leader discretion. Late-morning drive northeast to Cayo Coco (6+ hours) in Cuba’s northern archipelago, the setting for Ernest Hemingway’s novel Islands in the Stream. The keys offer excellent birding, scenery, and accommodation. Beachfront accommodation and meals at our all-inclusive Cayo Coco Hotel. Birding on site or en route (or both), depending on timing of arrival. Morning birding on Cayo Paredon Grande, the northeastern-most key in the Cayo Coco archipelago, which is one of Cuba’s most important migratory landfalls. 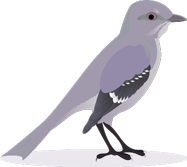 Cuban Gnatcatcher, Oriente Warbler, Scaly-naped Pigeon, Thick-billed Vireo, and possibly a subspecies of Zapata Sparrow and Bahama Mockingbird are target birds for the day. Lunch at the hotel followed by afternoon birding on Cayo Guillermo in mixed habitat including coastal forest, mangrove flats, low coastal scrub, and pristine white-sand shoreline (roadside, flat walking). Dinner and accommodation in Cayo Coco. Breakfast and morning for Mangrove Cuckoo, West-Indian Whistling-Duck, and anything we may have missed specific to this area, followed by departure southeast to Camaguey (4+ hours) for dinner and accommodation (2 nights) in this interesting colonial city. Early breakfast and departure to Najasa and La Belen Reserve (50 minutes). Giant Kingbird, Plain Pigeon, Cuban Parakeet, and possibly Gundlach’s Hawk may be present. Picnic lunch followed by continued birding and return late afternoon to explore the pedestrian areas of Camaguey. Our farewell dinner will be at a highly regarded private restaurant in town. Breakfast and transfer to Camaguey International Airport for your return flight to the U.S. Flight times will be determined approximately 6 months prior to departure. Page updated on March 31, 2018.